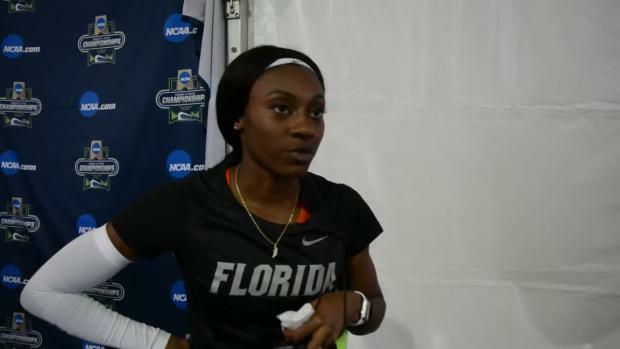 Before she broke the collegiate record in the 200m and became a professional track athlete, Kyra Jefferson got her start by competing in the AAU. Jefferson, a graduate of Cass Technical High in 2012, started competing in track when she was a six-year-old growing up in Detroit, Michigan. According to Jefferson, she wasn't necessarily an instant success at the sport. "I was slow back then," Jefferson joked. "I did a pentathlon because I wasn't good at doing individual stuff," she added. "I was so awkward." In her first ever pentathlon, Jefferson, who was short and skinny as a youth, finished 10th at the 2006 AAU Junior Olympic Games. She began to transition into the sprints in 2008 when she competed in the 100m, 200m, and 4x100m in the youth division for the TDP Elite squad. While competing at the AAU Junior Olympic Games that same year, Jefferson finished third in the 100m (12.07), fourth in the 200m (24.71) and ran as the lead-off on the victorious TDP Elite 4x100m relay team. Winning that event, she says, is still one of her favorite early track memories. Jefferson wasn't the only future star competing in the girls championship that year. In the same meet, NCAA champion and record-holder Hannah Cunliffe, of Missouri, captured victories in the 100m (12.22) and 200m (25.49) out of the midget division. Texas All-American Kendall Baisden won the 400m (54.72) in the sub-youth division. And 800m American record-holder Ajee Wilson won the 800m in 2:11 while competing as a youth. Jefferson fully committed to sprinting at the age of 13 when her godfather helped her through a season of specialized sprint training. "I was about to go to high school when my god dad took some time with me and helped me during the fall and winter," Jefferson said. "I didn't swim that year and I worked on track. I came back and I was fast." Jefferson then took her talents to Cass Technical High, where she became a three-time MHSAA Division 1 LP Finals champion in the 200m and a mainstay at New Balance Nationals and the USATF Junior Outdoor Championships. Jefferson earned an athletic scholarship to compete for the University of Florida, where she won four NCAA titles. 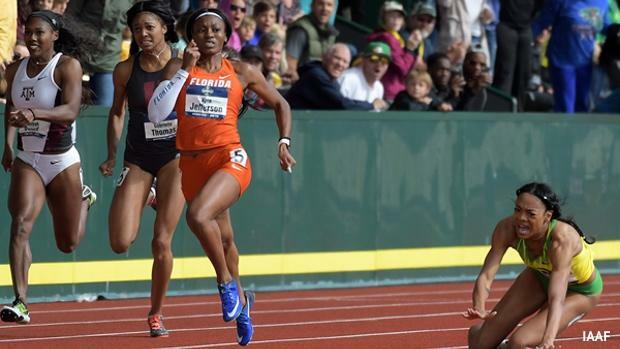 On June 10, Jefferson broke the collegiate record in the 200m when she won the NCAA championship in 22.02. The breakthrough performance broke Dawn Sowell's 28-year-old outdoor collegiate record. Since graduating, Jefferson has signed a professional contract with Nike and recently notched two top three finishes in Diamond League competitions (third in Lausanne, second in Monaco). 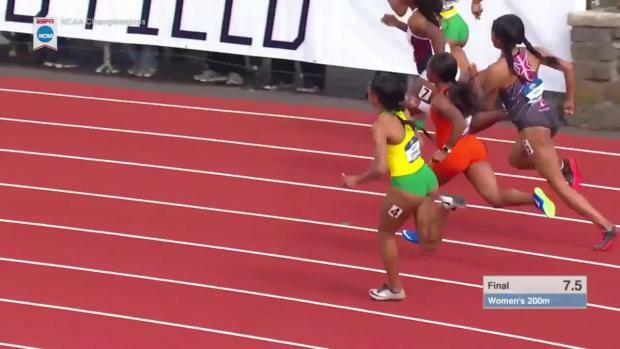 Although Jefferson missed making the open 200m when she finished fifth at the USATF Outdoor Championships, she is still part of the Team USA 4x100m relay headed to the IAAF World Championships in August.